Q: How to get this software worked if its not working? A: In case some features or software is not working, please do the right click on the icon of the software, click on Run as administrator. Q: What color chroma key is better for me? A: There are typically two color chroma keys available in the market-blue & green. The most important thing to consider before selecting your chroma key, is to see which color clothing would you use for the video, if the clothing that you decide upon are in the shades of blue, choose a green chroma key and vice versa. Usually professionals have both blue and green chroma keys. 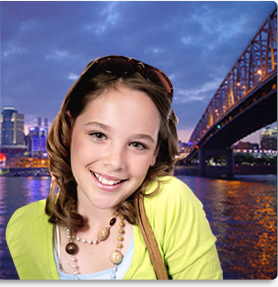 Q: How can I light the chroma key background? A: Lighting your chroma key is one of the most important things you need to check , before making your video. Firstly Always keep the lighting flat on the object, if possible use two lights at 45 degrees for the purpose. Secondly make sure that there is enough space between the object and your screen. Spacing ensures better lighting. Q: Can I use a dirty chroma key? A: The answer to that would be no, try using a clean chroma key for creating your video and try not to touch the screen too much , it could hamper the output video. When you are purchasing a chroma key, purchase the one that are washable. And make least possible contact with your screen. Q: Which chroma key should I choose, Fabric, paint or paper? To begin with the paper screen these are cheaper but they wear out easily so you will have to replace them very frequently. Paint Is the best if you have a studio with cove. You need to decide what suits you the best and choose accordingly. Q: Will I be able to use 123VideoMagic? 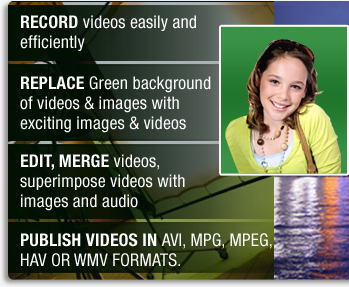 A: 123VideoMagic is an easy to use video editing software, its interface is developed in such a way that any one be it a professional or a rookie will be able to use it. We keep on making updations in our software so that you have a pleasurable experience. Q: What should be the system requirements for optimum results?